The women of the Black Widow Society are hoping to enjoy the beauty of the Pacific Northwest and the Redwood Forest on their annual adventure vacation. Instead, they find themselves pursued by an ancient pack of shape shifting wolves led by the powerful and mysterious Dmitri. As Mona and her friends travel by train, motorcycle, and dune buggy, the Zuni wolf fetish hanging from Mona’s neck attracts danger at every turn. In a clash between worlds, will the werewolves be a match for the deadly Black Widow Society? 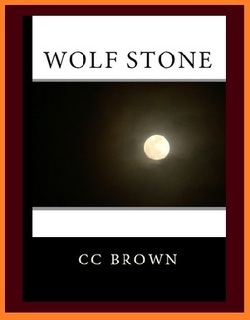 CC Brown is the pseudonym adopted by the two authors, Schyrlet Cameron and Kathy Brown. Carolyn Craig is a contributor to the book. The three women live in the Ozarks with their families.